Hussain said that England would want to get the maximum out of Anderson and get him ready for the Ashes next summer. Former England captain Nasser Hussain has requested the England team management to not rest James Anderson for the tour of Sri Lanka. Anderson, 36, has been in phenomenal form with the ball, taking 24 wickets in five Tests at 18.12 as England beat India by 118 runs in the fifth Test to secure a 4-1 finish to the series. In the process, Anderson also became Test cricket’s most successful fast bowler when he went past Glenn McGrath’s tally of 563 wickets. 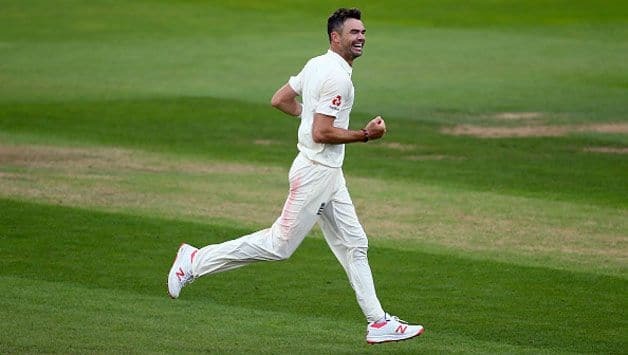 Anderson may be at the twilight of his career but Hussain, and despite strong reports that he and Stuart Broad may be given rest, Hussain, speaking to Sky Sports, pointed out that England would want to get the maximum out of Anderson and get him ready for the Ashes next summer. Broad, who hurt his rib while batting in the fifth Test, also remains doubtful. “England will have to decide how they are going to handle Anderson,” Hussain said. “He is bowling brilliantly but he is not someone I would rest. 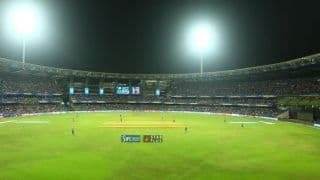 “There are certain bowlers you can give a month or two off and they are going to come back fresh. It was reported that England might try out new faces such as Sam Curran, Jamie Porter, Chris Woakes and Jamie Overton to prepare themselves for a life post the Anderson-Broad era. The first Test begins in Galle on November 6 followed by matches in Pallekele and Colombo. 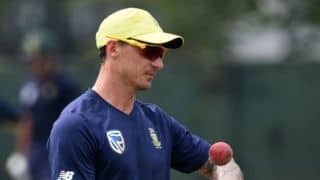 “He is someone that you have got to keep going, he will have enough rest built in because he is not playing white-ball cricket. 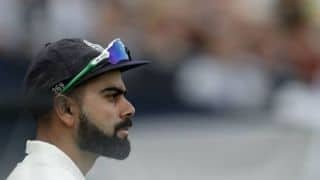 Keep him and (Stuart) Broad going and hope they get through to the end of the Ashes next summer,” Hussain, one of England’s renowned captains, said. Anderson picked up his 564th wicket when he bowled Mohammed Shami, the last Indian wicket to fall. As England emerged victorious, an emotionally drained Anderson, paid his respects and gratitude to Alastair Cook, for whom the Oval Test was the last international match of his career. Cook, in response, called Anderson the greatest England cricketer during the post-match presentation. “It was a nice comment for Anderson to say he wanted to go past McGrath while Cook was still on the pitch,” Hussain said. “He realises when he turns up at Galle, Cook will be on his farm in Bedford and when he went past McGrath he wanted his best mate in cricket there with him. Hussain added that now since Cook is gone, he expects England wicketkeeper batsman Jos Buttler to take up a senior role in the side. Buttler, who was out of the England Test set-up for a while, marked a memorable comeback to the Test team with a series of impressive knocks, and was named the new vice-captain of the team. Ben Stokes was stripped of the post following his infamous Bristol incident. “Jos Buttler will take over as a leader in the side now Cook has gone,” Hussain said. “I see him as a real quiet talker in that team but when he talks the team listen and he talks a lot of sense.